Lead your men through the merciless jungles of Burma, trying to escape the Japanese grasp, or rush to Rangoon before the British forces evacuate the city on the jungle scenario. Then, change the terrain and fight the first tank battle between U.S. and German forces in the sands of North Africa, where Stuart and Panzer clash in the middle of the desert. 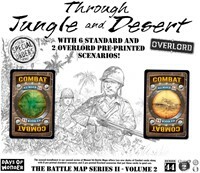 Through Jungle and Desert, the second installment in Days of Wonders' second series of Memoir '44 Battle Maps, includes six standard pre-printed scenarios with historical background and special rules, one token punchboard, and two new decks of combat cards: a Jungle Combat Cards deck and a Desert Combat Cards deck. The Jungle's scenarios can be played separately or as a campaign, with each scenario outcome impacting the following one. 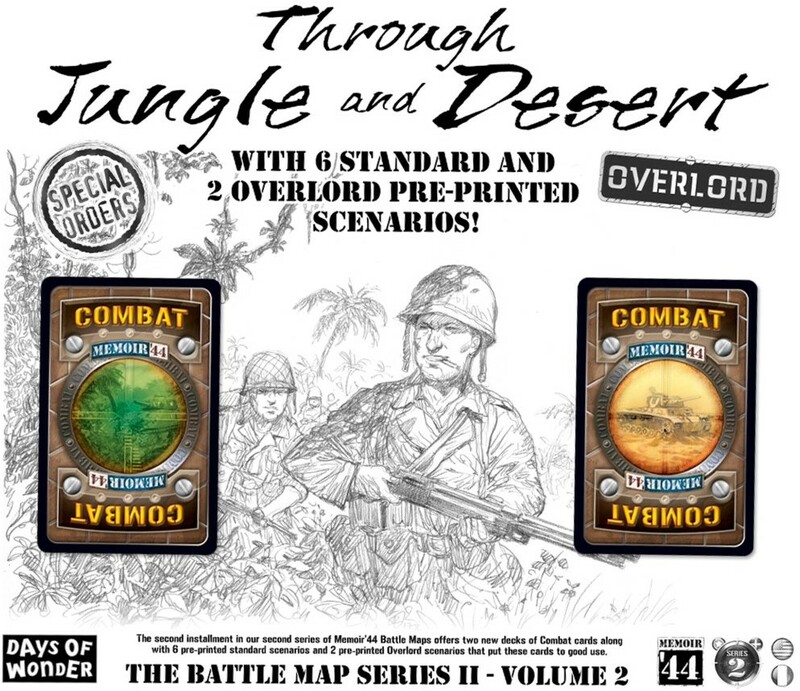 In addition, this expansion features two pre-printed Overlord scenarios that allow you to fight for Henderson Field in Guadalcanal or conduct a a huge desert battle that marks the beginning of the second battle of El Alamein in Operation Lightfoot. 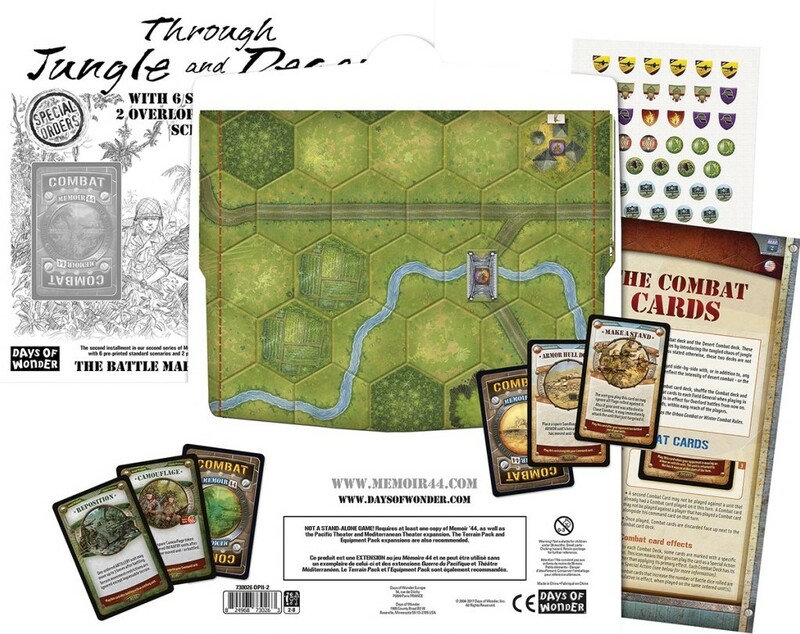 To use this expansion, you need at least one copy of Memoir '44 as well as the Pacific Theater and Mediterranean Theater expansions. The publisher also recommends the Terrain Pack and Equipment Pack expansions.